At Harmony House, we find that when the winter blues are getting us down, there is nothing better than a bowl of hot and delicious vegetarian chili to cheer us up. We love veggie chili so much that we created three unique, delicious recipes for our customers using our premium quality dried beans and vegetables (though, you could count them as six because we offer a seasoned and unseasoned version of each)! The famous advice from Hippocrates, “let food be thy medicine and medicine be thy food” is very wise to follow during cold and flu season. Warm soup eases cold and flu symptoms and may possibly help prevent you from getting sick in the first place! Here are a few of the ways you can turn your pantry into a veritable medicine chest by stocking it with a variety of dehydrated soups. 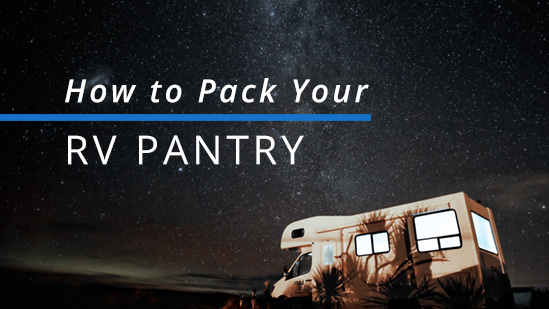 There are a few special complications to consider when planning how to stock your RV pantry. You may a limited amount of space for storage, a cramped kitchen, vehicle weight restrictions and other issues to overcome. 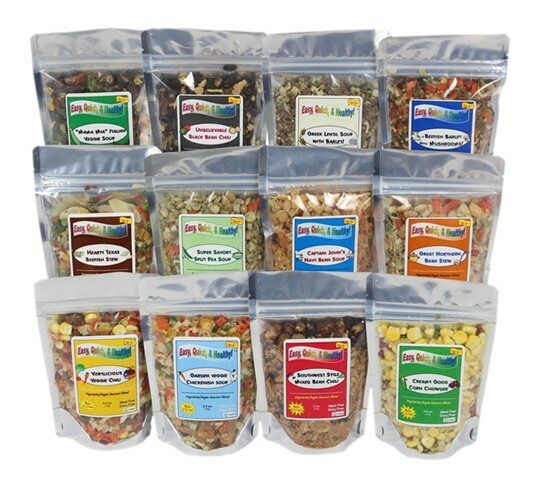 We have heard from many of our loyal customers that they solve several of the challenges of RV cooking by stocking their camper kitchen with a variety of dehydrated soups and chilis. 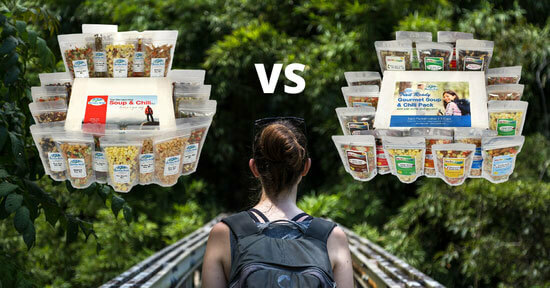 Here are a few of the top reasons to stock your pantry with dehydrated soup and chili mixes, whether you are a snowbird travelling in a luxury RV or a boondocker setting out for the backcountry in your camper van. 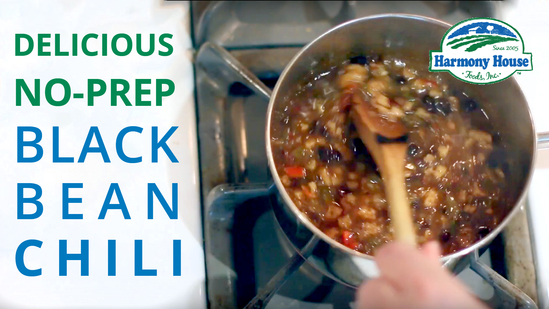 You’ll be a believer after watching how quick and easy it is to make Unbelievable Black Bean Chili from our dehydrated mix. If you’ve got a stove, water, and 15 minutes, you can cook a hearty and delicious chili that will please your taste buds and satisfy your hunger. Don’t believe us? Watch here! 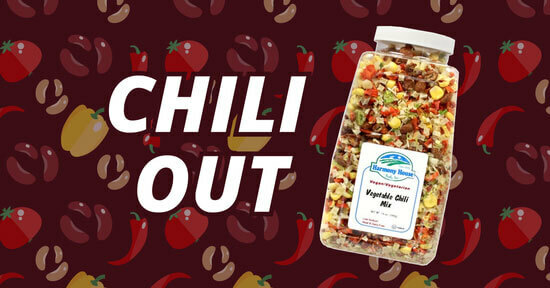 You have to see to believe how easy it is to make our Verylicious Veggie Chili. We’ve done all the prep-work for you so you can put a wholesome, home-cooked dinner on your table in minutes. We made this video just to prove just how simple and fast it is. Watch here! Keeping dried soup mix in your pantry is the ultimate kitchen time-saver. It makes so much more than soup! 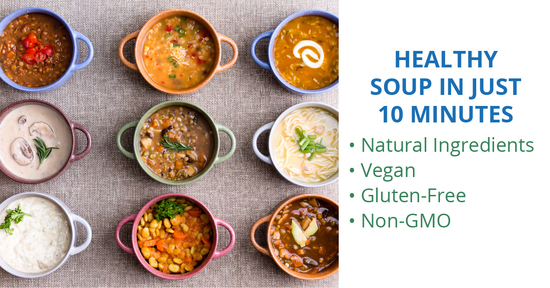 Harmony House Vegetarian Soup and Chili Blends contain delicious combinations of vegetables, beans, and legumes (such as peas and lentils) that can be used in an infinite number of dishes. Smart cooks keep a variety of dried soup blends on hand in order to put healthy, delicious meals on the table with minimal effort. 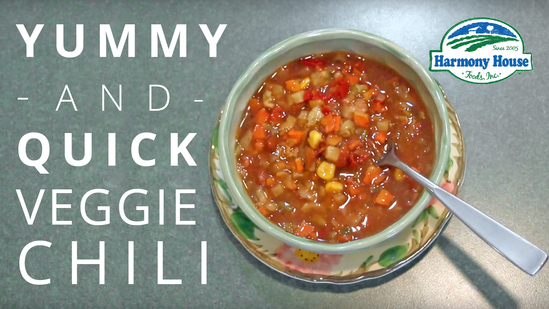 Here are a few ways that dried soup mixes make cooking easier. ThruEat.com is an awesome online resource for backpackers that’s run by two working professionals out of Southern California with a deep passion for the outdoors, and developing the best thru-hiking meals to help them go the distance. Recently, they reached out and asked to review our award-winning Backpacking Kit. When they got it, and tried the Backpacking Kit, they were blown away. 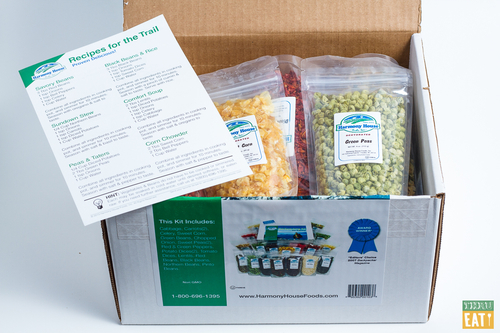 Here’s a sampling from their blog about their first time ever using Harmony House dehydrated foods. Vegetable broth powder (also known as vegetable stock powder) can be used in any recipe, including soups, sauces, and gravies. It makes a great seasoning, too! You can find many recipes online for making your own homemade vegetable powder with fresh vegetables. 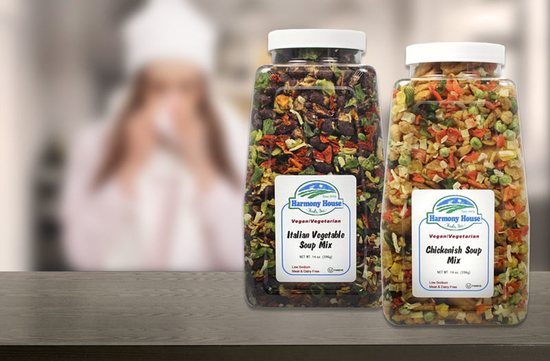 However, if you want the convenience of veggie powder without all the peeling, chopping, and dehydrating, here is how to make your own using premium quality dehydrated vegetables from Harmony House Foods. As temperatures drop and days shorten, we tend to seek hearty meals for warmth. After a few spoons full of hot stew, chili, or soup, the shivers begin to fade and winter life starts to feel a little less gloomy – it’s like magic! And since Harmony House is in the business of providing delicious, healthy foods that make life easier too, we thought we’d share a few of our favorite vegan and vegetarian meals that will fill you up, warm your heart, and also prepare in about 15 minutes.